Sherronia's Successful Scholarship Fund hopes to invest in students that show academic achievement, community service and leadership skills. 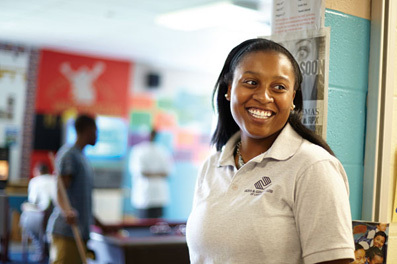 Sherronia Dorsey-Walker, whose academic career at Michigan State was helped by a $54,000 scholarship gift from basketball great and fellow Detroit Pershing High School graduate Steve Smith, was inspired to start this scholarship fund as a way to give back to her community and to other hardworking students who will attend Michigan State in the fall. The goal is to push students closer to their dreams of accomplishing their college degrees. The cycle of giving is an endless cycle that will keep empowering others to support educational goals. Sherronia wants to offer opportunities to students by giving a scholarship gift and mentoring them through college. We aim to raise $500 to help with a student's college scholarship. Your contribution will make a huge difference in a student's life by providing financial assistance that will allow them to pursue their educational goals. Every dollar counts. Please support hardworking students by sharing this good cause with others and helping to spread the word. As one, we can provide a scholarship(s) to the Successful Scholarship Fund. Five hundred dollars is just the minimum! All additional funds will be used to provide financial assistance for more students. *Make check payable to Michigan State University and write “Appeal 15CRFPR1SHERRON” in the note section.